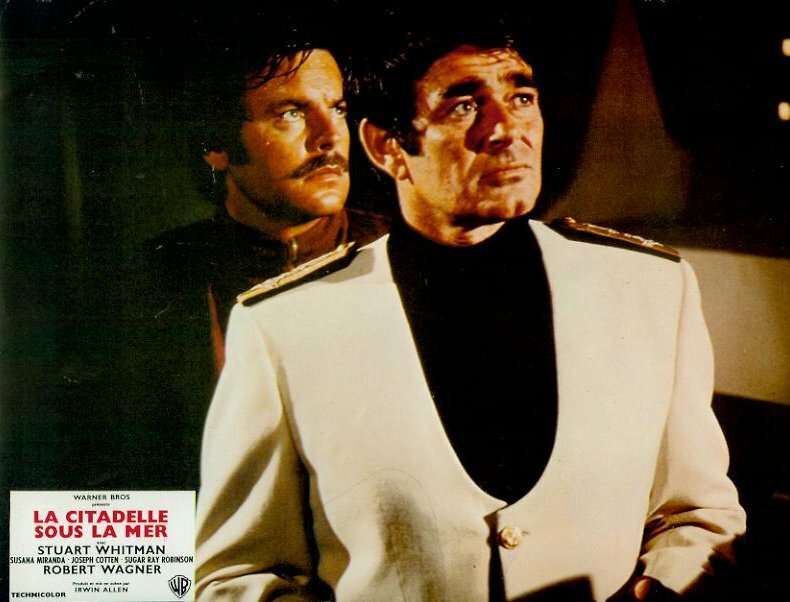 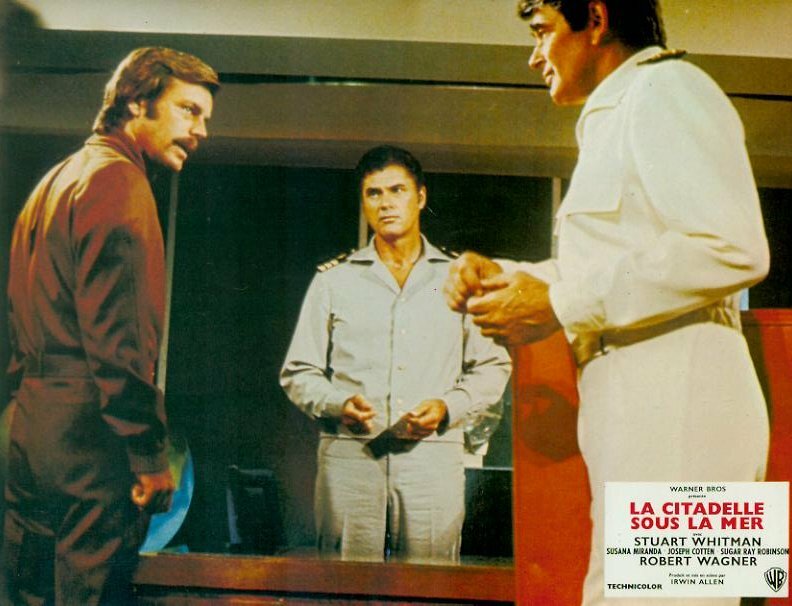 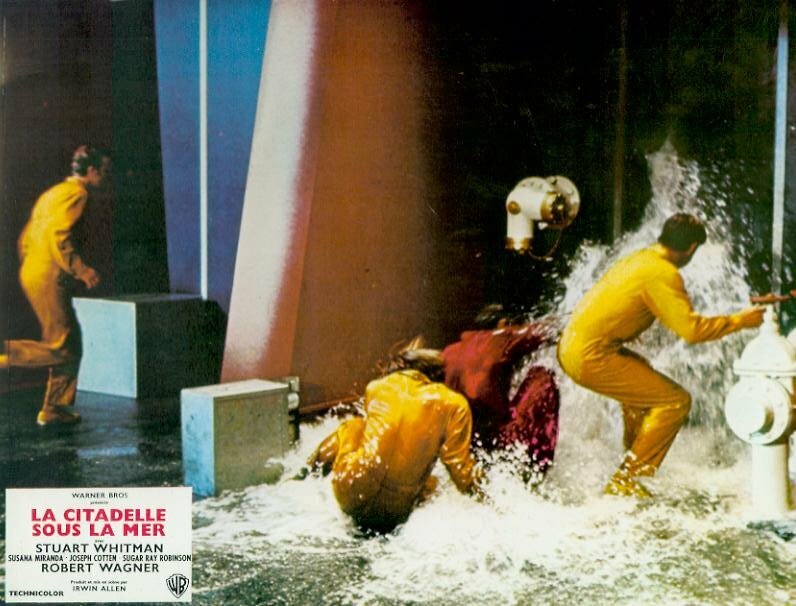 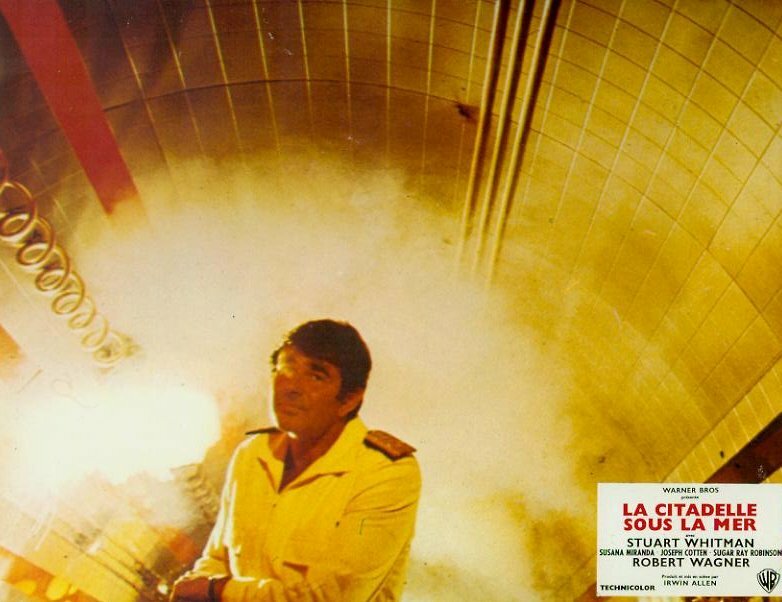 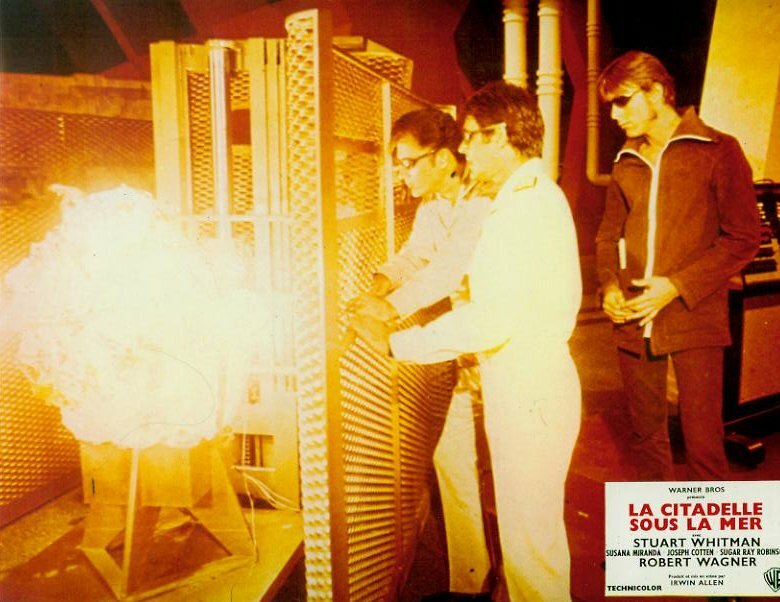 Panned by some and praised by others like myself, the Irwin Allen TV-movie "City Beneath the Sea" made its U. S. premiere on television in 1970. 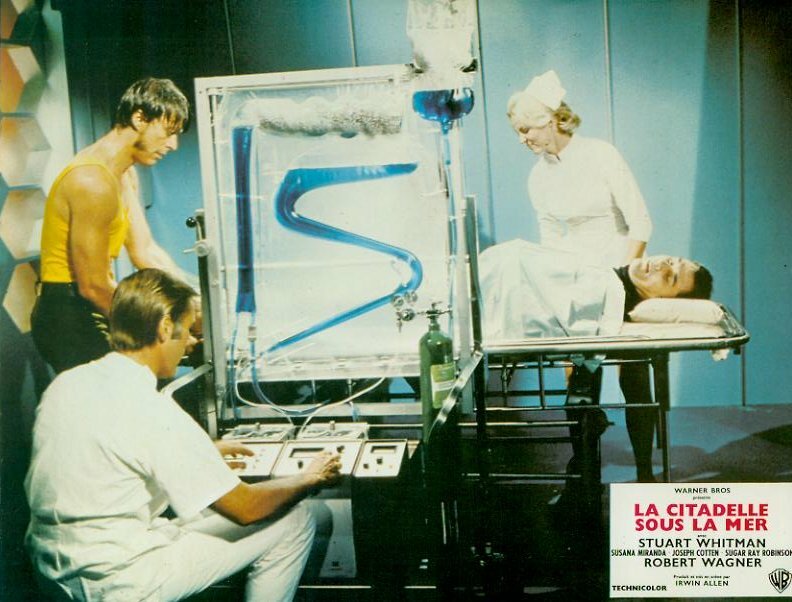 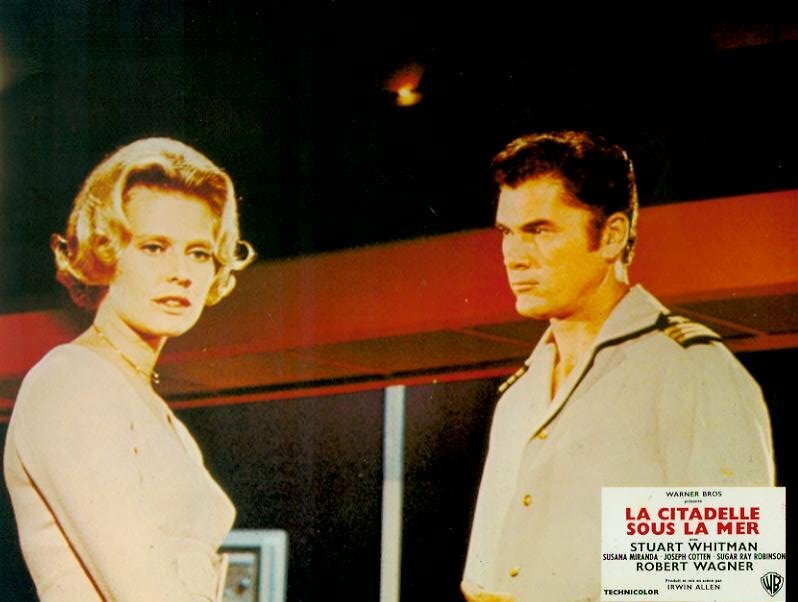 What began as a short presentation film for the benefit of the networks featuring different sets and actors was expanded to a two-hour telefilm starring Stuart Whitman, Rosemary Forsyth and Joseph Cotten. 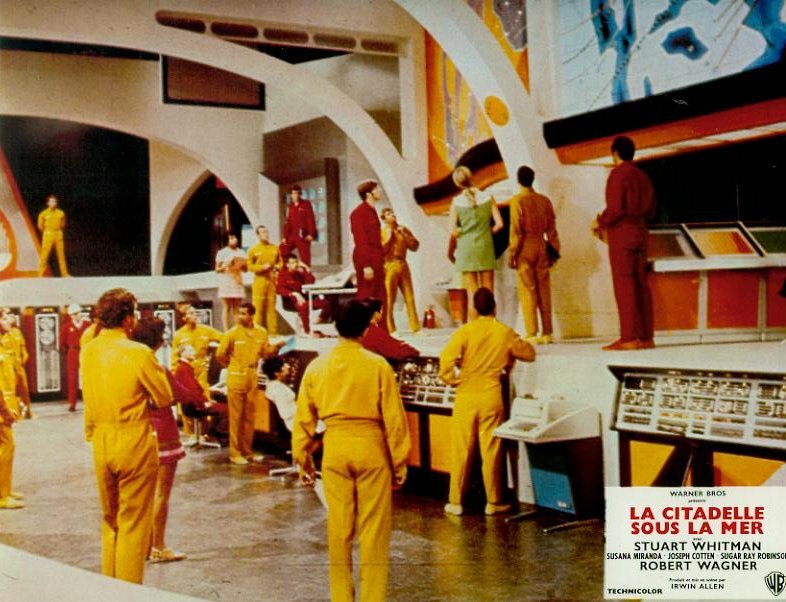 The plot, as basic as it was, centered around Pacifica, a fantastic underwater city/colony threatened by an enormous asteroid in space and murderous saboteurs from within. 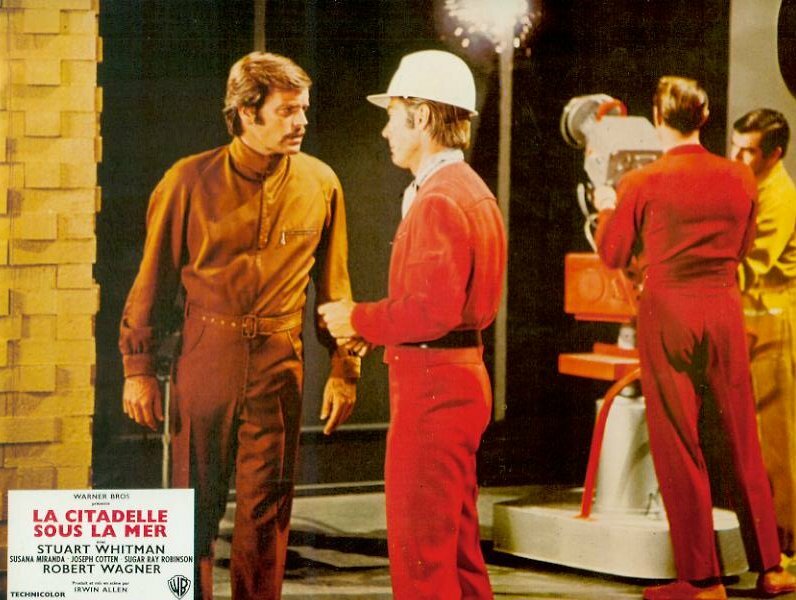 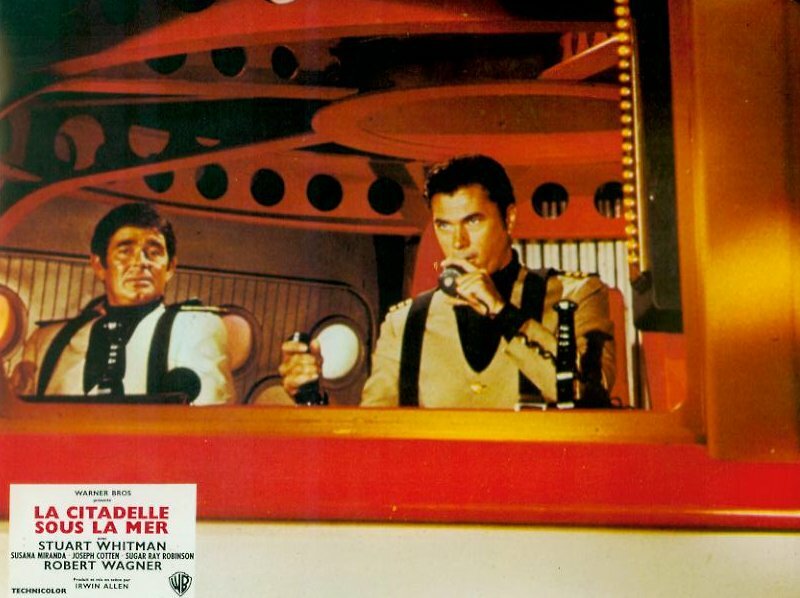 Written by Star Trek alumnus John Meredyth Lucas the viewer may have expected a better script but the sets, costumes, and recycled special effects were outstanding, and it was a pleasure to see returning favorites like James Darren and Richard Basehart. 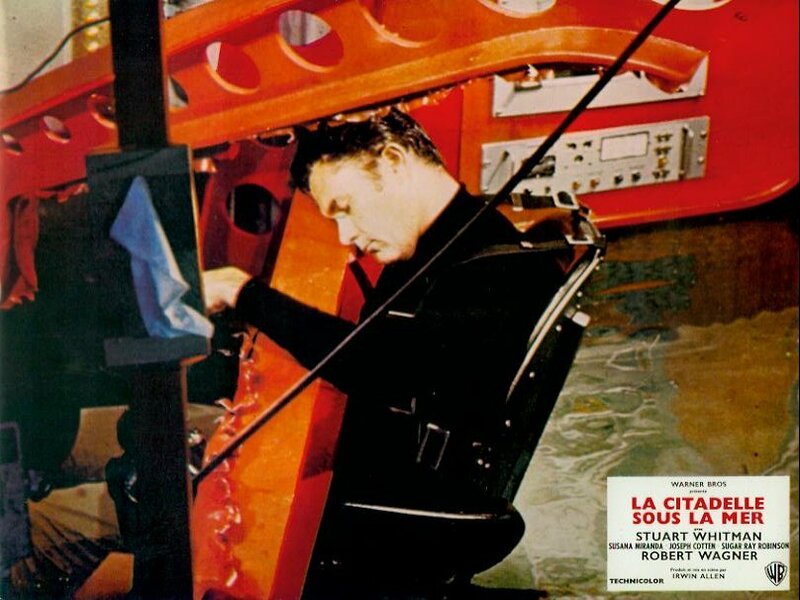 Admit it-how cool was it to see Robert Colbert aka Doug Phillips in the Flying Sub-that is, aquafoil? 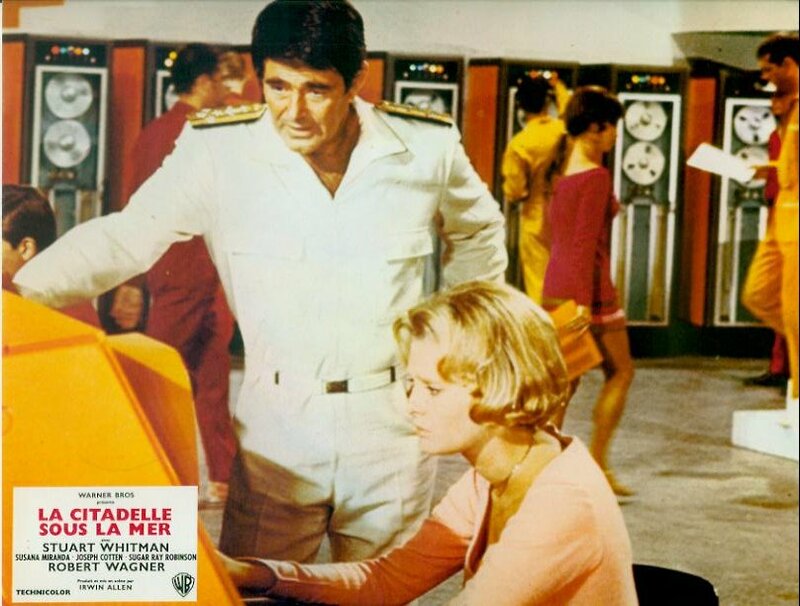 In Europe the television movie was released in theatres instead and often re-titled "One Hour To Doomsday". 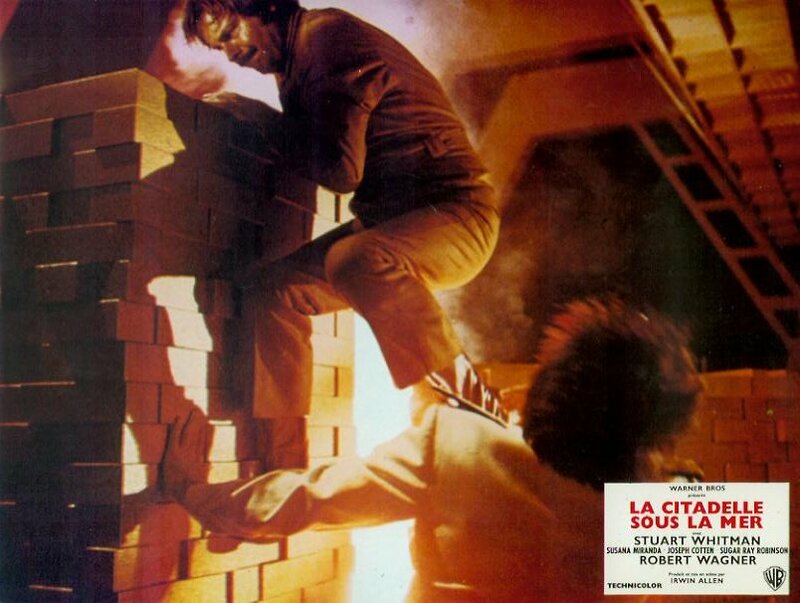 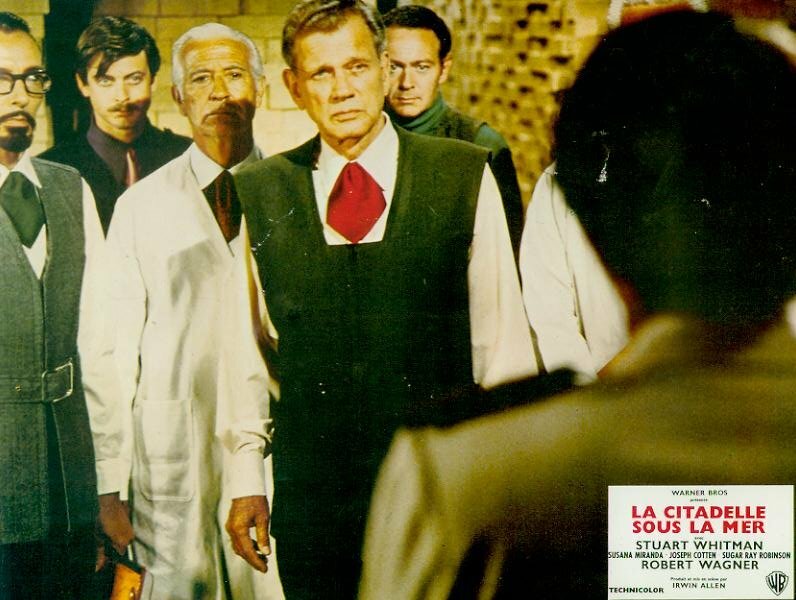 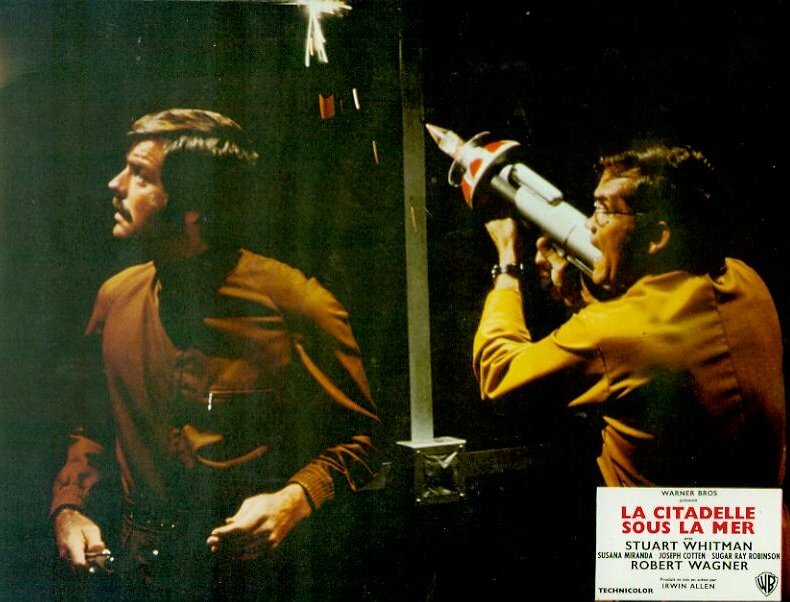 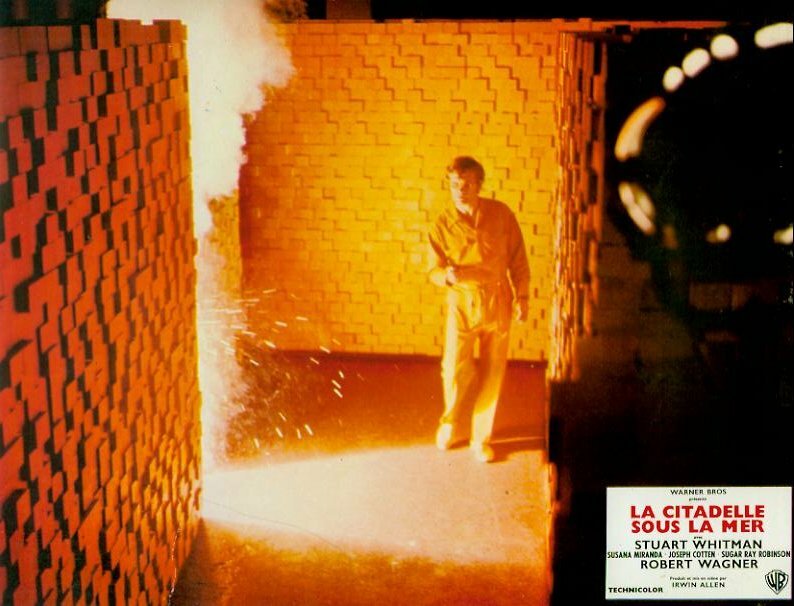 These photos are from the French lobby card set. 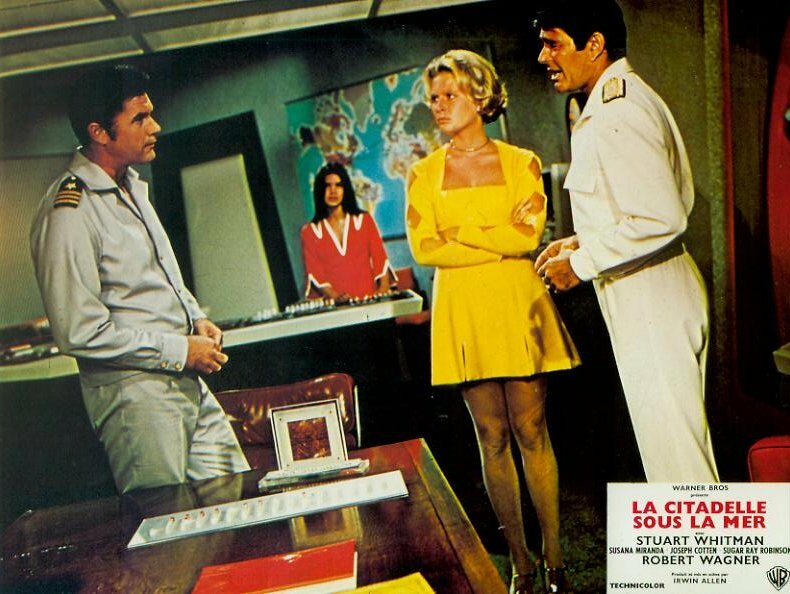 More items, including lobby cards, posters and more rare photos will be added in the weeks to come.